Odon Serginho de Carvalho was born in 1974 in the Democratic Republic of the Congo and he moved to Angola in 1996 to join his family members. During the civil war in Angola he escaped to South Africa via Namibia in 2000. He learned the sand painting technique from his uncle, with whom he shared a shack with when he first arrived in Cape Town. Each piece of art is made up of sprinkled coloured sand which he applies to the canvas. Through lots of dedication and hard work Odon has improved his technique over the years. He says “I like the feeling of working with sand. It also is a lot of fun for my visitors to watch me and also try to do it, which also is exciting for me in return”. 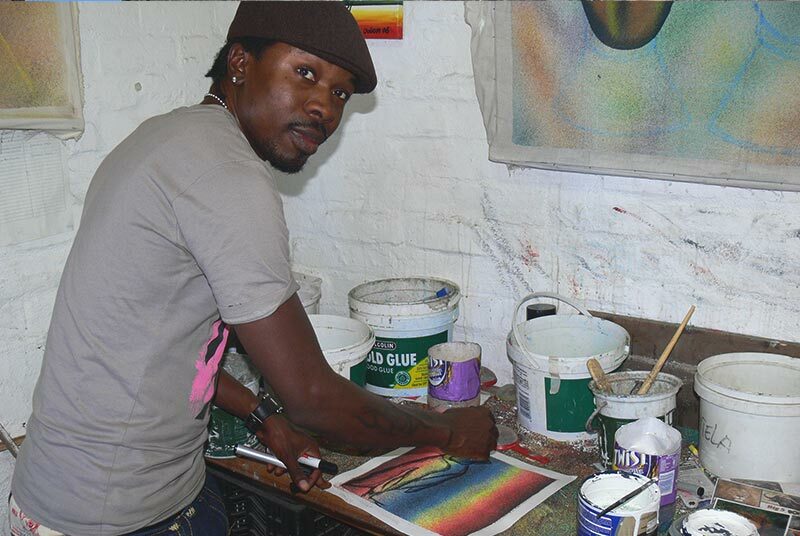 Over the years Odon has gained a reputation for his unique art, which has helped him to improve his life style. 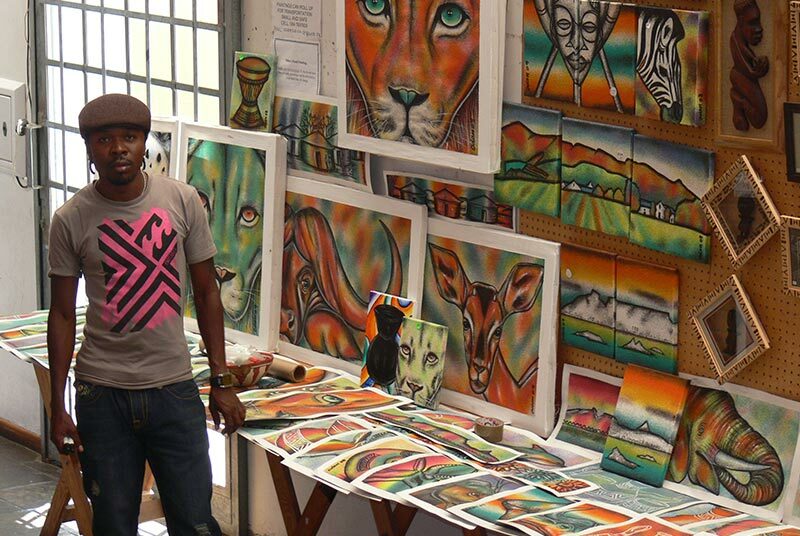 The themes of his sand paintings are mostly of Africa, animals, landscapes and townships, but he is also happy to create art based on requests.